Let this delightful bouquet warm the hearts of your loved ones and deliver your best seasonal wishes! 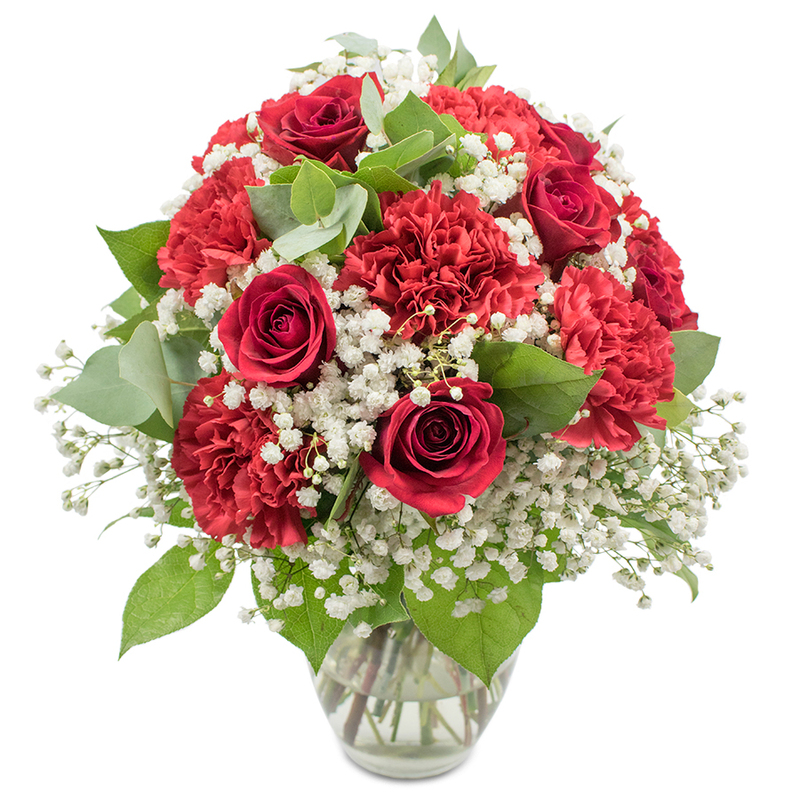 Featuring red roses and carnations, this arrangement speaks of festivity, luxury and joy. Above and beyond expectations! I ended up selecting an arrangement which quenched the eyes with their beauty, grace and strength. They arrived in perfect condition, making someone very special, feel very loved. My girlfriend loved the beautiful flowers I got her for her birthday. She couldn't stop saying how perfect the bouquet was! Very delightful flowers. It was a pleasure to order and get the flowers delivered. Absolutely nothing to complain about. Just a note to say huge thank you for the professionally arranged hand-tied bouquet! 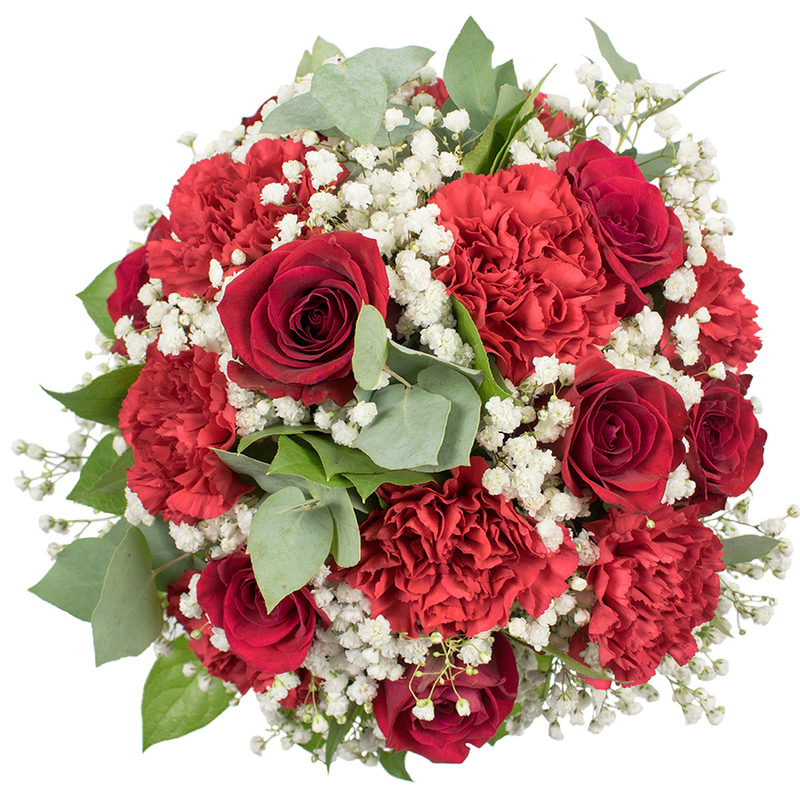 Ordered the flowers for my mother's 50th birthday. They arrived at her work place promptly. Perfect service.